The field of low temperature plasmas (LTPs) has provided enabling sciences and technologies that are arguably responsible for huge swaths of our industrial and high technology infrastructure. The information technology revolution has been singularly enabled by the ability to fabricate microchips using LTPs. Virtually every human implant is fabricated or made biocompatible using LTPs. All non-incandescent lighting sources rely on LTPs, either directly as the source of photons or indirectly through materials fabrication. The current generation of jet engines are enabled by LTP processing, and interplanetary missions are made possible by LTP propulsion. Now, LTPs have the potential to treat wounds and disease, and to convert green-house gases to high value chemicals. Many of these advances are the end result of scientifically and experimentally inspired technology development, and in some cases incremental advances over many years, with little input from modeling. 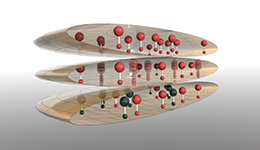 The plasma chemistry and plasma surface interactions that are responsible for these successes have untold complexity that acutely challenge diagnostics and modeling, as well as the underlying AMO (atomic, molecular, optical) physics knowledge base. A legitimate question is – has modeling and simulation been significantly influential in the development of LTP enabled technologies? Are modeling and simulation LTPs capable of leading innovation? In this talk, the role and potential of modeling and simulation in the LTP innovation chain will be reviewed with examples from materials processing and the next frontiers of biotechnology and sustainability. Examples of where modeling has provided insights that stimulated, if not enabled, technology development will be discussed.